Lakebed Caustic Patterns imaged by Jan Curtis (aurorae) at Newberry Nat'l Monument, Oregon. Image ©Jan Curtis, shown with permission. 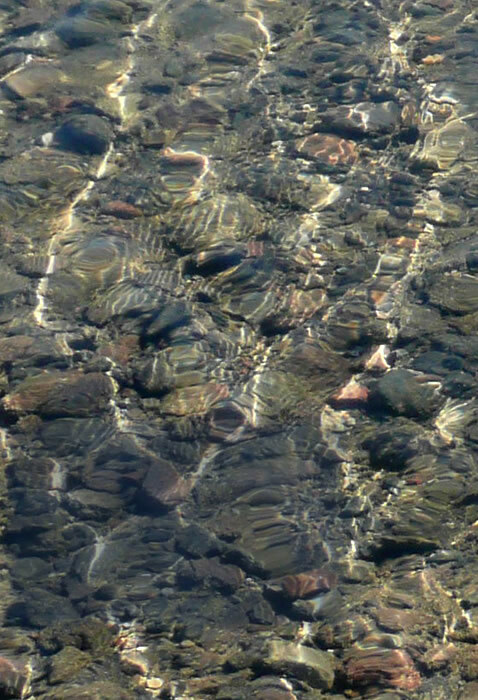 Waves and ripples on the surface of the shallow water refract the sun's rays. 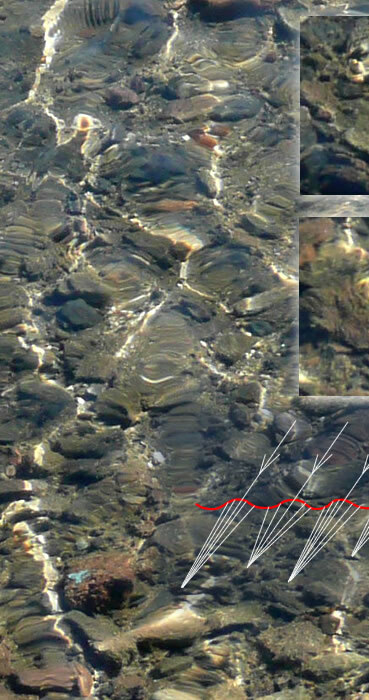 When the surface curvature happens to be right the rays cluster on the lakebed to form a sharply illuminated line - a "caustic". Colours are each refracted to a slightly different extent and where the refraction is extreme brilliant flashes of spectral colours result.